Comments: George Luke Scobie Bain (Nee: ) | St. Louis MO United States | 1851-1900 | Comments: 1865 he moved to St.Louis to work with Geo. Updike and Geo. Field who took over the Chicago office of Gilbert, Updike and Field. 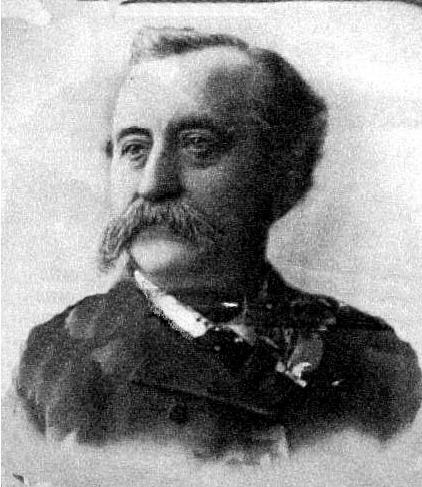 In1867 he formed Updike, Bain and Co. and was elected alderman of the 4th ward. In 1868 he formed Geo.Bain&Co with brother Wm. 1871 he bought 1/2 interest in Atlantic Mill, largest in St. Louis. ahe served as vice president of the National Board of Trade of St. Louis Merchant's Exchange. 1872, nominated mayor of St. Louis winning large popular majority but democratic opponents won out. He was nominated to Congress, but declined for business reasons. At one time operated Union Steam, Phoenix, O'Fallon, city Mill and Atlantic with combined output of 3500 bbls/day. 1874 President of first Miller's Association in Missouri. 1875 President of Miller's Nation Assoc untill 1883. Vice Pres. of local assoc.1877 Delegate to Republican National Convention in Cincinnatti nominating R.B. Hayes. 1883 Originator and Royal Chiel of Scottish Clans. 1889 Candidate for U.S. Consul in Glasgow but not chosen.